blue hour | Flights. Camera. Satisfaction. You may have noticed I’ve been away for a while! Over the last six months I’ve been struggling to find the right balance between a new job, learning French, and keeping up with photography. I tend to throw myself into new things 100% with complete disregard for anything else, which can be both a blessing and a curse. I’m sure at least one other person out there also has this problem?! Starting today I’m planning to resume posting here once a week. I hope I haven’t lost too many readers along the way! I normally like to enjoy sunset and blue hour in a relaxed frame of mind, maybe picking one or two spots to set up the tripod and then just taking it easy for a while. But in Singapore my time was limited. The hot, sticky humidity didn’t hold me back as I rushed around trying to get as many angles as possible in the one full evening I had set aside for photography. A thunderstorm approaching just out of shot was also great motivation to be quick on my feet! This was one of the last shots I took of Singapore’s skyline before deciding it might be wise to find some cover before it was too late. There were still plenty of people around Marina Bay at the time, I’m guessing a lot of them got very wet that evening! This entry was posted in Asia, Singapore and tagged Asia, blue hour, City, Cityscape, Marina Bay, Singapore, Skyline, sunset, Urban on May 25, 2015 by Ben. At this time of year sunset colours and blue hour in Stockholm last for a long time, which is a blessing as the sun sets around 3pm. I was really excited to try and get some shots like this after dark, but most of the buildings along the waterfront are not lit up at all at night. 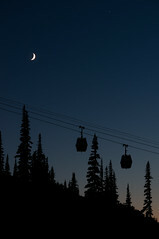 Fortunately I managed to get this shot during blue hour as we walked back to our hotel. The old town of Stockholm, Gamla Stan is apparently one of the best preserved medieval centres in Europe. It’s a great area to explore on foot, and during December there’s a Christmas market in the square. We were expecting cloud cover for the weekend but actually had some nice blue skies on Saturday. The seasons can transform a place, and I’d love to go back in the summer when I can get about without all of my winter gear. The cold weather is not a great motivator for taking long exposures by the water! 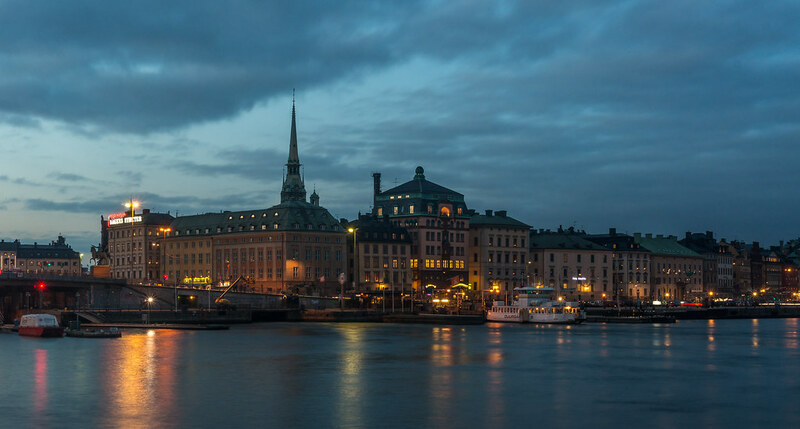 This entry was posted in Europe, Sweden and tagged blue hour, Cityscape Photography, clouds, europe, Gamla Stan, Stockholm, Sweden on December 1, 2014 by Ben. As I walked back to our room at the Andaz Maui resort I turned around to take one last look at the Hawaiian sunset. 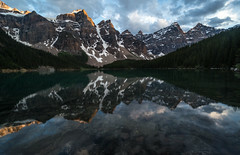 The blue hour was just beginning, and what a sight! I’d just spent an hour shooting at the beach, but I couldn’t resist setting up my tripod one more time to capture this scene across the pool. I often find the best light comes after the sun has set, and this evening was no exception. As always I exposed this shot for the highlights, expecting to have more success recovering the dark areas of the sky in post-processing. Unfortunately as I brought up those shadows in Lightroom a huge amount of ugly noise was revealed. Using a combination of Topaz DeNoise and Lightroom I had to do a fair bit of work to balance the noise reduction against loss of detail in the image. It’s a bit of a black art and I still feel like an apprentice! 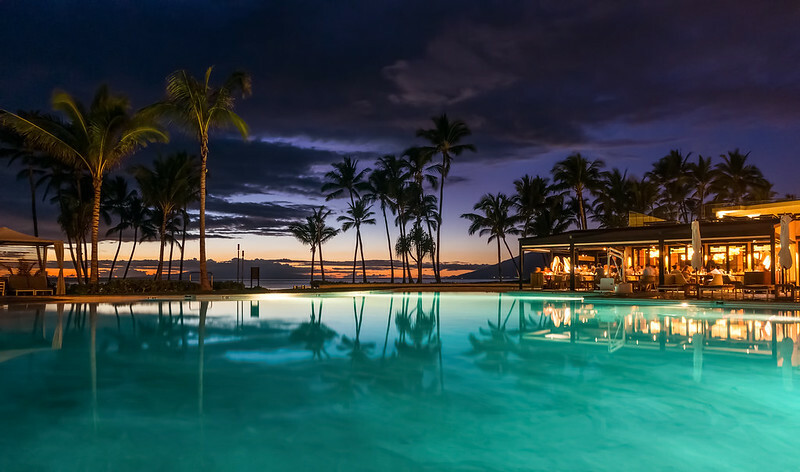 This entry was posted in Hawaii, USA and tagged andaz, blue hour, hawaii, maui, Palm Trees, Pool, Reflection, resort, sunset, Water on November 24, 2014 by Ben.